Ancient History Comes to Life Every Week Throughout the Year! 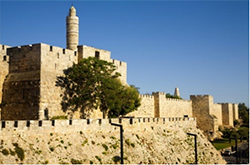 Go Israel North America is passionate about heritage tours to the Holy Land. We provide high quality programs as well as excellent travel services, and make it a priority to ensure that our travelers always have the most reputable land operator we trust, anywhere in the world.We offer three important elements that travelers look for: Destination Experience, Quality Service, and Personal Attention.We love what we do, and we look forward to sharing this wonderful and spiritual experience with you. Arrival at Ben Gurion Airport, where you will be met by our representative and transferred to your hotel. Check in and enjoy dinner. Enjoy breakfast at the hotel. 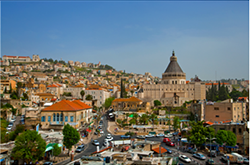 This morning, drive to the Mount of Olives for a panoramic view of the city; visit the Church of All Nations, King David’s Tomb and the Room of the Last Supper on Mount Zion. Enter within the walls of the Old City and visit the Cardo, Temple Mount (entrance to the mosques not included), Western Wall, Via Dolorosa, the Church of the HolySepulchre, and the oriental Bazaar. End the day with a visit to the Garden Tomb. Return to the hotel and enjoy dinner. Enjoy breakfast at the hotel. Drive to Ein Kerem to see the Church of Visitation. Proceed to Yad Vashem, the memorial to the Holocaust. Visit the Israel Museum, Shrine of the Book, where the Dead Sea Scrolls are housed and a miniature model of Jerusalem as it was during the Second Temple period is displayed. 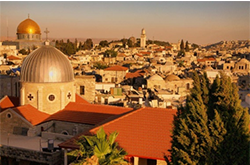 Proceed to Bethlehem (subject to local conditions) to visit the Church of Nativity.Return to the hotel and enjoy dinner. Drive to Qumran, where the Dead Sea Scrolls were found. 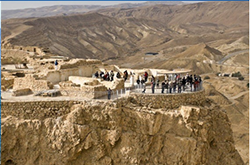 Visit the ancient city of Qumran and drive along the shores of the Dead Sea, the lowest place on earth, to Masada - the last stronghold of the Jews after the destruction of the Second Temple in 70 A.D. Ascend Masada by cable car and visit the food storeroom, water irrigation system and Herod’s Palace. Descend by cable car. 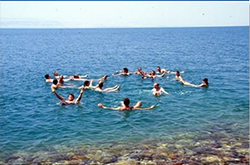 Time and weather permitting, an opportunity will be provided to float on the Dead Sea.Return to Jerusalem and enjoy dinner at the hotel. Enjoy breakfast at the hotel and check out. Depart Jerusalem and drive via the Jordan Valley to Bet Shean, a newly excavated city, and visit the Roman theatre. 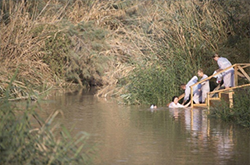 Drive to Yardenit, the baptismal site on the Jordan River; continue to Nazareth via Cana of Galilee to visit the Church of Annunciation, St. Joseph’s Workshop and Mary’s Well. Arrive at your Kibbutz hotel, check in, and enjoy dinner. Enjoy breakfast. 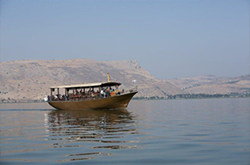 After a short tour of Tiberias, enjoy a Boat Rideon the Sea of Galilee. Visit the YigalAlonMuseumwhere the "Jesus Boat," an ancient fishing boat from the 1st century, is displayed. Continue to Capernaum and visit the remains of the 2nd century synagogue. Proceed to Tabgha, site of the Miracle of Fish and Loaves, and visit the Church of Multiplicationwith its 4th century mosaic floor. 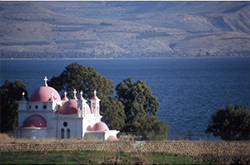 Continue to the Mount of Beatitudes, the place where Jesus delivered the Sermon on the Mount. Drive to the BaniasSpringsto see the waterfalls and tour the Golan Heights. Return to Kibbutz Lavi and enjoy dinner. Enjoy breakfast and check out of the Kibbutz. This morning, drive to Acre to visit the ancient city and harbor. 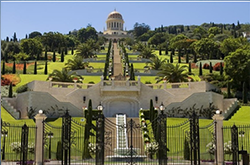 Continue to Haifa for a panoramic view of the Baha’i Gardens and Haifa Bay. Continue to Megiddo, identified as the site of Armageddon, to visit the archeological excavations including the well-preserved water supply system. Drive to Caesarea, capital of Judea under the Romans. Visit the excavations of the ancient city, Roman theatre, and aqueduct. Drive along the coastal plain to Tel Aviv. Check in at your hotel in Tel Aviv and enjoy dinner. Enjoy breakfast at the hotel in Tel Aviv. At noon, check out and transfer to Ben Gurion Airport for your flight back home. 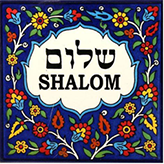 Shalom Israel! The touring program is subject to change due to local conditions. Tours are not operated on Jewish holidays. Gratuity, expenses of a personal nature, and any items not mentioned as “included” are not included in the package. Travel insurance is recommended and is available for purchase through us.